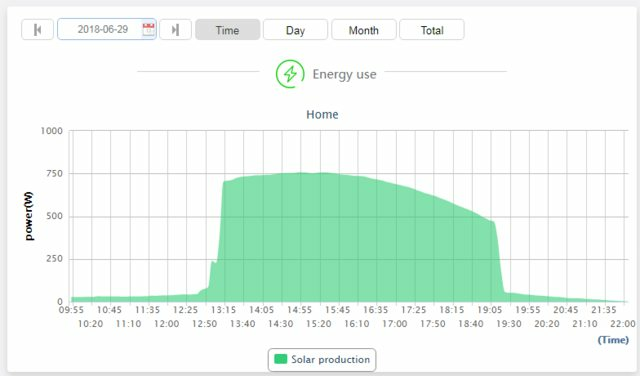 Solar PV generation at 01:45AM to 03:25AM.... WTF? Navitron Renewable Energy and Sustainability Forum > SOLAR PHOTOVOLTAIC > Solar Photovoltaic Systems > Solar PV generation at 01:45AM to 03:25AM.... WTF? Previous days all look normal. Today after sunrise looks normal. 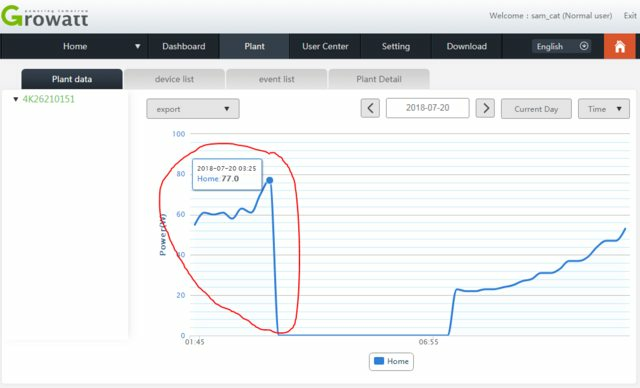 The smart meter is showing a reduction of import (against expected baseload) at that time, so I do believe we generated something. But WHY!! Re: Solar PV generation at 01:45AM to 03:25AM.... WTF? Dont some more digging... Growatt updated the monitoring platform last night.. Looks like a chuck of today has been recorded at wrong time, now fixed but currently left with wonky data today (total for the day is right, just the by 15 minute view is weird). The generation dropping is spurious and coincidental, looking back it does it a few times a week. My SP2000 has been strange over the last few days. It says connected on the Growatt website but there is no date. A turn off and back on restored things yesterday but in the early hours this morning it did the same. A turn off and on again restored it again but only for 15 minutes from 9.10 to 9.25.
sam-cat; Where did you find about the update? It seems all my data is now on the portal so looks like their problem not mine.